7 Comments on "Choosing a Personal Injury Specialization"
One of the better things about law is that you can specialize in a certain field. This means that you would have to seek out additional schooling or training for that specific spot. With personal injury, there are many types of cases ranging from traffic accident to medical malpractice. When in doubt, follow your gut instinct and go with it! I get really interested learning about the law. Do you have any idea which of these specialization is easier and quicker to study? Please advise. When it comes to specializing, there are many different fields that should be considered. 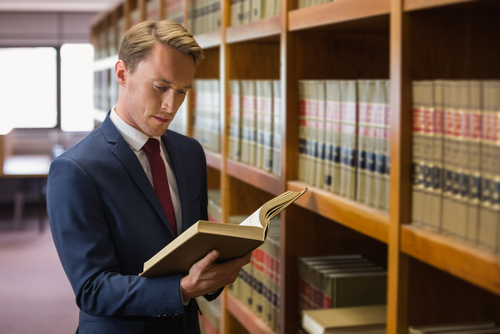 Personal injury can range from being in an automobile accident, injury on the job, or even a dog bite. Different specializations will appeal to different interests. What would you say interests you the most? With personal injury, there is more than just that. Specializing in something will mean more schooling but in the end it will be worth it. You are very right that the best lawyers are those who are passionate about their jobs. However don’t let this get to your head since too much of anything is bad. This is great information. It can be a hard decision to make. And you have to be very compassionate in dealing with a personally injury. Thanks for sharing. I thought this was an interesting perspective. I think having a passion for what you do is really important. In this kind of profession, I think it’s especially important, because you’re representing someone, and they really need your help. I think if you have passion, then you care about your client. It’s cool to see that there are ways to go about specializing in personal injury law. This makes it possible to find a part in it that you truly like and enjoy being apart of. I can’t wait to learn more about this and see if its for or not.